Crafty Garden Mom: Best Christmas Quilts Magazine: I'm In It! 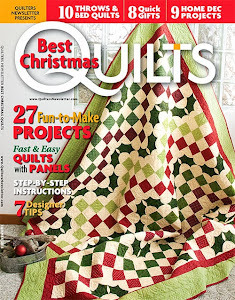 Best Christmas Quilts Magazine: I'm In It! I was thrilled to have another project in this year's special issue of Best Christmas Quilts from Quilter's Newsletter. My Merry Christmas Owls wallhanging is a simple fusible applique project that can be completed in a weekend. so be sure to pick up your copy! 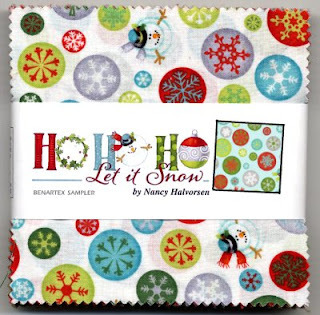 To get you in the Christmas mood, I am giving away a charm pack of Ho-Ho-Ho, Let It Snow by Nancy Halvorsen for Benartex Fabrics. This line has a fun and modern look, and would work great in a fusible project with smaller pieces, like Christmas Owls. This giveaway will be open until 12 am Monday, Sept 2nd when 1 winner will be randomly selected. Good luck! I actually have already started my Christmas shopping - at least for the fabric to make stuff. How funny. I had just a moment to quickly flip through this mag the other day at the book store. I saw the photo & thought that looked like you but didn't have time to investigate. And it was you! Congratulations! Forgot to answer the question. I wait till way too near the date to start my shopping. I am always in Christmas shopping/making mode! I finished my first Christmas gift for this year back in March. I try really hard to be thinking Christmas all year' but usually really get going in November. Congrats on a super cute quilt!! The Christmas fabric is adorable! I really start in October. But I keep telling myself to start earlier, so I'm not driving myself crazy on Christmas Eve trying to finish everything!!! Congratulations on having your pattern published - it's adorable. Congratulations, Tanesha! It must be very exciting to have your work in a magazine! I have seen this fabric on the bolt at an LQS, and it is super cute. I've been tempted to buy some but have resisted so far. My Christmas shopping has already started. Times of year in which being Jewish becomes really important to me? Christmas shopping time. It offends my religious sensibilities, people! ;). Congratulations on being published--super cute project! I don't start until December--I like being immersed in the season, and snow helps! Thanks for giving me the Christmas push. Oh how cute!! Love the penquins on the fabric. Your owls are way cute! Those owls are really cute! Cute, cute, cute, and projects that won't take ages are great for the holidays. Congratulations on being in the magazine, it's looking like a really fun issue. I love those owls, . How wonderful about your pattern being printed. That is awesome. I Christmas shop all year round and I like to get a head start in January. I start my Christmas shopping in the first days after Christmas! Always find great things that way! The owl wall hanging is so cute! I Christmas shop all year round, whenever I see something I like, preferably on sale. I wait till far too late to start shopping. Thanks for the giveaway. Love those owls. I start usually August for supplies I need to make Christmas gifts. Sometimes it goes into September and October if I haven't decided what to make. Our family is very small and we keep the presents to bare minimum. Less stress for all. So I wait until after thanksgiving. I do like to make things for my friends though. I shop all year and put things away! More fun that way!! Great fabrics! Love the Owls! The Owls are adorable, so clever. Christmas shopping starts as soon as Christmas goods go on sale, just after Christmas. Sewing/quilting starts shortly after that. Christmas preps can't start until after our younger son's birthday at the end of October. I don't want him to feel overlooked. It's bad enough my fall quilt retreat usually falls near his birthday (cue Mom guilt). Whenever I'm out and about at gift shops, I look around and get ideas for gifts all through the year. I guess I don't officially start shopping until November. My family is large, and I have several birthdays to sew for right up until Christmas, so my Christmas gifts/shopping gets pushed back as far as possible--usually near the first of December, sadly. I always hope to start sooner--maybe this year! I like to make as many of our gifts as possible so I'm always on the look out for crafty ideas that remind me of a family member or friend. Then I just keep a running notebook with ideas in it. Around this time (August/September) I start feeling the itch for fall and the holidays so I use that as my motivation to get started on my list. Thanks for the chance to win the cute fabric and I just adore those little Christmas owls you made. I start Christmas shopping in September! Snow!!! It is coming soon, and I would love to use to HO HO HO Let It Snow in one of my holiday quilting projects. It designs look so whimsical and cheery! I can't wait to pick up my copy of the magazine. I have seen so many projects I would like to work on. That fabric line is sooooo cute! It would be fun to work with. Christmas shopping around here has started already - as soon as school starts. We find a thing or two here and there and tuck it away. That way mommy gets to enjoy the Christmas season more instead of running amok for gifts. Your owl wall-hanging is soooo cute and that's coming from someone who isn't even a fan of owls. The holiday charm pack looks very cheerful. Thanks for offering it as a giveaway. I usually start online shopping the Monday after Thanksgiving. I've been doing that for quite a few years and in recent years I've noticed they even have a name for it "Cyber Monday". I don't go out in the "real" world to do shopping until probably around the 12th of December. I sew many gifts and I work on that all year. But for things that I buy -- I have a tendency to put it off until December! Unless I happen upon a perfect gift for someone, then I might buy many months in advance. Then the hard part is waiting to give it to them! Love your owl project! I start right after Thanksgiving and try to finish by first week of December so I can relax and enjoy the Christmas season. I usually start right around Thanksgiving time :) I have to wait until I see some Christmas lists! Your wall hanging is adorable! Congratulations on getting chosen for the magazine! I've started my Christmas sewing, but not my shopping. My in-laws exchange lists, which they usually give out around the first week of December. For my own family, start sooner, depending on sales. Hermoso tapiz con los buhos, ideal para empezar la navidad! Desde Enero estoy pensando en esta maravillosa época del año! I start in January or February. It makes it a lot easier on my wallet. I do it all year long. When I spot a sale with the right item and right price.. I keep Christmas gift ideas in mind throughout the year. It is always great remembering I have some gifts stashed away when crunch time comes in December. HELLO,USUALLY MOST OF IT IN NOVEMBER;BUT SHOP ALL YEAR ROUND FOR SPECIAL GIFTS FOR SPECIAL PEOPLE WHEREVER I GO! THANKS FOR SHARING! This year, I started with my sister when I bought a Hallmark Ornament during their ornament preview weekend ... we're members of the KOC (Keepsake Ornament Club) and have been collecting their ornaments for our family for over 20 years. This year, I saw a special one I wanted to get for my sister, who has been going through some struggles for the past 4 years, so, I started in July. But, I've also decided that since illness kept me at home most of the summer anyway, and I started sewing more, I'm going to start making my gifts from now on, and I'll make them all year long! On an added note ... THIS FABRIC IS GORGEOUS!!! I start the day after Christmas and shop all year round for items, that way it is much easier on the pocket book. I always tell myself to start my Christmas quilts in January but somehow it never happens! Right about now, I start to get frantic that I won't get them done in time. Precuts make quilting easier and I love them! I'm not in the Christmas mood at all yet... I'll have to start a Christmas project soon, that may help! Congratulations on being in the Best Christmas Quilts Magazine!! I usually start shopping in late October or early November (I'd rather wait until after Thanksgiving but it is helpful to spread out the cost a bit). I'm not ready for Christmas yet either. But this fabric is so adorable! I usually start late, I am terrible, I try and make as much as I can as I like to give personal gifts. Thanks! This will put me in Christmas-mode! I always wait until the day after Thanksgiving. I find great deals around that time! I love the Merry Christmas Owls wallhanging. It is super cute. I start my Christmas shopping on black Friday. Sometimes I end up with way too much. I shop all year. Buy as I find. I don't have but 3 people to buy for so I do almost no shopping at all. I think all the rushing and stupidity by people over Christmas is terrible. Christmas is not for how much you can spend and trying to beat another person to an item. It is for a purpose that has nothing to do with money. Some years I start early, when I'm inspired by something, some years I'm late to the game. Boxing Day! I buy throughtout the year - whenever I see the right gift. I usually start my Christmas shopping in November. Love your owl wall hanging. Thanks for the giveaway. I sew Christmas item throughout the year. I buy Christmas fabric when ever it is available. I haven't made any Christmas quilts yet..but would love to do the little owl wallhanging. So cute. Those owls are adorable! I start my Christmas shopping in December. I start my Christmas shopping as soon as I see the first perfect gift, and from there it just keeps going. This year I found the perfect decorator plate for my sister-in-law last month so the race is on. I need to make your adorable wall hanging for my owl loving BFF. It is the perfect gift and something I can accomplish. Thank you for sharing your great ideas and a giveaway too! I try to start shopping at least by mid October. But all through the year if I see something that is just perfect for someone, you know I gotta grab it! Thanks for the giveaway! And congrats on being in the magazine. I have actually started my shopping this year because I found a perfect gift for my sister. I usually wait until all my family's fall birthdays are over. The owls are so cute! Tanesha, this giveaway makes me ho ho la la la holiday happy! No, I haven't started yet. I usually start around the end of October and still have to make a mad dash to finish by Christmas. Some people, especially my DH, are hard to shop for! I love the owl wall hanging and your giveaway! I'd use that fabric in the owl quilt. I am shopping all year round. We give small birthday presents in my family, and go nuts at Christmas. I usually have gifts small and large stashed everywhere waiting for the big days. Great blog Taneshan! I will be back (following). All year round! If I find something that is perfect I snap it up! The real challenge is finding where I've put it when it gets time to wrap it up! Christmas for me is being surrounded by loved ones to whom I give handmade treasures. I work on Christmas all year long. What a great charm pack, thanks for the chance to win. I really love your block, with the cute stocking hanging from the limb! I wait till the last minute start my shopping. Your quilt is adorable. Thanks for the giveaway. The Owl quilt is so cute. Probably won't start Christmas shopping till after Thanksgiving. My birthday is in November, and I never feel like Christmas shopping until that is over. Unfortunately, that leaves me in the midst of crowds most of the time, but I never learn to start earlier! I don't start my Christmas shopping until after Thanksgiving. Love your Hooty Owls. Thanks for the giveaway. I start shopping for Christmas shortly after the holiday when I find something on line that I think that someone would enjoy. We live in the Alaskan bush so all of my shopping is done that way. Your fabrics are beautiful, love the charm pack. Love the Christmas Owls! I start shopping late fall but can't buy too much clothing for the grandkids too early...they grow way to fast! The charm pack is too cute! Thanks! I start Christmas shopping as soon as Christmas Day ends. During the year I watch for items that would please those I gift. 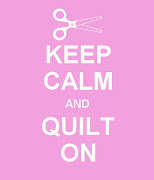 Quilting is continuously for much of my gifting is a quilt item. "Ho!Ho!Ho! Let it snow is a winner I could use. I start shopping the day after Thanksgiving. Christmas already! I'd better get a move on. Your Merry Christmas Owls wall hanging is adorable! I work on present year long and shop for many year round! Congratulations on you publish! I love owls and this is so cute! I try to start after Labor Day weekend. I have gifts to ship to my family all over the country so if I am not ready early, I am stuck. I like to pick out personal gifts that mean something so I need lots of time! I usually wait until mid Dec. - habit I need to break! I'm one who shops all year. If I see something that reminds me of a person or I know they would love it, I buy it then and there! (just like I do fabric! LOL!!) So glad I found your blog, your work is AMAZING! I start my Christmas "thinking" when the kids go back to school (all that alone time allows me to list out the many wants that were announced over the summer) but we don't usually shop until November.